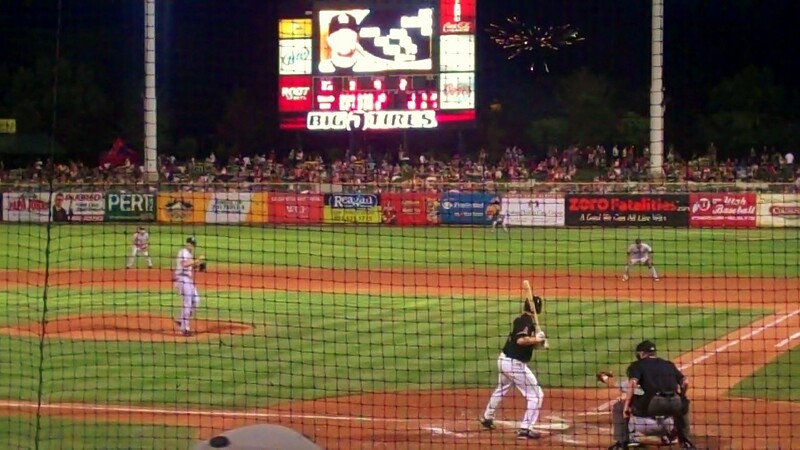 Thanks to Steve Nord with the Salt Lake Bees, we were able to check out a Bees baseball game. We had a BLAST! View a video of highlights at the end of this post. The crowd singing "Take Me Out To The Ballgame" during the "7th Inning Stretch"
We were able to watch baseball history made as Jeremy Moore hit an "Inside The Park Grand Slam Home Run" in the first inning. You can watch the video HERE. Many baseball scouts and baseball veterans say they have never witnessed that in all of their years of baseball. The crowd cheered as each player ran in to home base. The Salt Lake Bees came to Utah in 1915, where they stayed until 1926. They returned to Salt Lake in 1958 and claimed their first PCL (Pacific Coast League) title in 1959. In 1971 the team changed to the Salt Lake Angels, and claimed their second PCL title. The team was renamed the Gulls in 1975, and in 1979 claimed their third PCL title. The team was moved to Calgary, Alberta, Canada in 1984 after financial struggles forced them to be sold. In 1994 the Portland Beavers were moved to Salt Lake City and renamed the Salt Lake Buzz. In 2001 the team again change its name and affiliation, and was known as the Stingers. In 2005, Larry Miller purchased the Stingers, and in October of that year the name was changed back to the original "Salt Lake Bees". 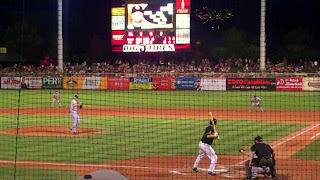 You can read the complete history on the Salt Lake Bees website. Remember, Steve Nord with the Salt Lake Bees is one of our sponsors for our Summer Contest, so you get double entries by attending a Salt Lake Bees game and posting pictures about it!